This blog is about the Railroads that helped build America, the cities that were rail centers like Chicago and the Highlights of the railroads in war and peace times. This goes more in depth about the railroads themselves, and history they were part of. My other blog is Great Trains of the Past. is about the passenger trains that operate over many of the routes in this country; East and West. Railroads such as the Union Pacific, Santa Fe, Pennsylvania, New York Central, and many more. These are ongoing blogs, so please note there will the gaps and they will be filled in at a later date. The United States of America covers a huge land mass. From Blaine WA at the Canadian border to Key West Florida is 2, 830 miles. Before Railroads spanned the country, the only way to go east to west was by wagons pulled by oxen or horses. In 1803, the young America bought the Louisiana Territory from the cash strapped French at 3 cents an acre. This purchase in effect doubled the size of the United States and stretched it from the Atlantic to Pacific and from the Gulf of Mexico to what was then British Territory to the north. After Lewis and Clark explored the newly acquired Territory, people didn't know what to make of it, it was hundreds of miles of empty land and there was no way to really get out there from the east. At that time the northwest, is what the Midwest is today in the states of Illinois, Indiana and Michigan. Lewis and Clark took a two ear expedition to document the territory. Their route followed the yellowstone river which in the 1880s the Northern Pacific built its line along, on the way to Seattle from Minneapolis. Where was the first common carrier railroad get started? 1964 Version of the Capital Limited. The first railroad in the US was privately own, which is the reason it is not noted. The Granite Railway was incorporated and built in 1826. This line was built as a 3 foot narrow gauge (US standard is 4 ft 8 1/2 in between the rails.) This line was 3 miles long and hauled no passengers. It was built primarily to haul Granite from the quarry. The first common carrier railroad in the United States was the Baltimore and Ohio Railroad. The company was formed for two reasons, one to move goods faster than the rival Erie Canal and two to build a more direct route over the Appalachian mountains to reach the Ohio River valley. The first train headed west in 1830, 13 miles to Ellicott Mills. Once this line opened and it proved profitable shortlines started popping up everywhere up and down the eastern seaboard. Not only was the B&O the first railroad, but it was the first passenger carrying railroad. The Tom Thumb hauled horse carrages afixed to railroad wheels, These were the first passenger cars and the reason passenger cars that are all seats are called coaches. About this time many other small railroads were being built, however they were not steam hauled trains, they were horse drawn cars on rails, and for this reason they are also not counted as the first railroads in history books and railroad books. In the rest of this blog, I will be discussing how the railroads built America. There are a number of events in America's history that railroads played a major part in or themselves created. Building west from Baltimore Md, the B&O Railroad was making strides to get over the Allegheny mountains, they found a way through at Cumberland Gap. This Narrow Passage is famous for being the place that Daniel Boone came through to reach West Virginia. At the same time there were many small railroads that were popping up all over the east coast. Businessmen were realizing that the railroads were becoming more reliable than roads and canals to carry goods from the farms to the urban areas. Within 20 years of the first railroads, there were hundreds of miles of rails. Railroads started to make agreements with each other to further expand their reach and even though they were not merging, they were working in agreement with each other. As this was taking place there was another issue cropping up. As more and more trains were operating, there were issues when it came to schedules, every town had its own time, it wasn't hours different, but when time is an important part of safety it was enough to cause accidents. Lets say you are travelling to your friends 10 minutes away, and then you both are taking off someplace at 12:15, you leave at 12 noon (by your clock) and reach their place at 12:10, but they aren't there, they've left already because of their clock saying 12:10 when yours said noon. It was like this in every town. The next section is about how regulating time helped the railroads. Four separate railroads built to the west coast. There were others whose intention was to build to the Pacific, but only made it. The Transcontinental Railroad, Union Pacific met the Central Pacific to finish the line. The Southern Pacific bought the Central Pacific, then in 1996 merged into the Union Pacific. The other railroads that built from the midwest to they were the Great Northern (from St Paul), Northern Pacific (from St Paul), Southern Pacific (actually built east from California)and last but not least the Santa Fe (Atchison KS). The west was a large area, and very sparse populations, this meant the railroads had a lot of work ahead of them. The Great Northern and Northern Pacific along with others spent millions of dollars setting up land offices in all the major cities of mostly northern Europe and Scandinavia to recruit people to settle the newly opened west. The Dakotas, Montana, Washington, Nebraska and Iowa, were just a few of the states that the railroads wanted to settle. They had to secure freight to haul over their lines to keep them viable. 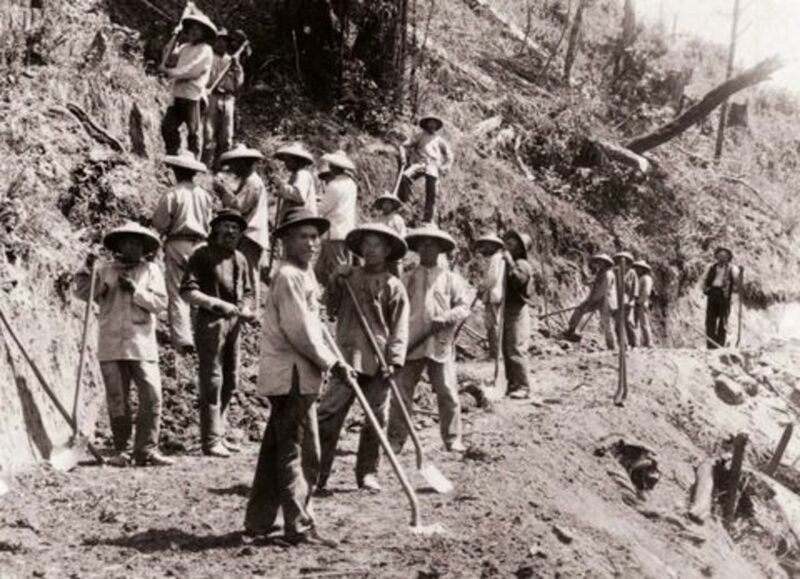 Each railroad would do this in their own way, the Northern Pacific for example, built branch lines every few miles to tap into the rich farming areas, and would operate agricultural training trains that would share the newest techniques. James J Hill went one step further, by providing cattle for the ranchers to start their herds. Every railroad that populated the west created the towns along their lines. The Great Northern built a number of towns, some of which are still alive and kicking today, and are still railroad towns. Others have grown up around the railroad but have not stayed around the railroad. An example of a Railroad town that is still a railroad town is Whitefish Montana. Whitefish is in northwest Montana on the Great Northern's main line. It was and is the jumping off point for a trip to Glacier National Park. The Great Northern Railway built through Whitefish in 1890 and the station that is now partly a museum was built in 1927, replacing an older structure. The BNSF railway offices on the second level, and the Empire Builder still calls twice a day, and this station is the busiest station en route. The Great Northern donated one of the rarest locomotives, an NW 5 #181 to be displayed at the station. Havre Montana, on the northern Montana plains is another railroad town that the Great Northern built. Havre, named for the French town, was built in 1888, and was a division point for the railroad. All trains stopped here to change out crews and locomotives. Many trains were broken up and rebuilt for different destinations. A line to Great Falls Montana branches off from this point as well. Havre is the 1000 mile mark from Chicago and is where both freight and Amtrak swap out locomotives for their 1000 mile inspections. At the station, sits GN 2584 a P-2 Class 4-8-4 Northern. This class of locomotive was built to pull the 1929 version of the Empire Builder. Today it watches over the daily arrival and departure of Amtrak's version of the famous train. Cheyenne Wyoming was a railroad town, a division point, and a major engine facility, for the Union Pacific, it still has the grand station that is now a museum. There is an engine facility still, but not as large as it once was. Cheyenne is also the home of the Union Pacific's historical fleet. These are three of the many railroad towns across the west, that employed thousands of men. Next time you are in Denver Colorado and attend a Rookies baseball game, you are walking across Rice Yard of the Denver & Rio Grande Western. As the small towns and villages were being linked by the ribbons of iron and were being pulled out of isolation that time became a problem. Yes Time!. Each town had it's own time, and no town was exactly the same. It could be 12 noon in New York, but in Chicago it might be 11:30. There was no good way to tell time, therefore to have a timetable (or train schedule). In 1883, the heads of most of the railroads met in New York City to discuss this and they came up with the idea for the time zones. The country would be divided into these zone and every town within a zone would have the same time. The United States was divided into four time zones, the Eastern, Central, Mountain and Pacific. They are roughly 1500 miles wide, but not in a straight line north to south. This is because in certain areas where there are regular travelers to the next time zone, it would be a hardship on a regular basis. An Example of the zone deviating around a city is Gary Indiana. If the line went straight south, Gary would be in the Eastern time zone along the Illinois Indiana state line, but because so many people commute from Gary to Chicago in the Central Time zone, that zone line itself goes around Gary so that the Central Time Zone encompasses the entire Chicagoland Region. Chicago is in the crossroads of American commerce. Ever since the mid-1800s, people have been coming through Chicago to head West. It started as a Fort on the edge of Lake Michigan in the late 1700s and grew as a trading post for furs. The post is a point where the Illinois River flows into Lake Michigan. This made it a natural place for town to grow. The first railroad in Chicago, was not one from the east, but a homegrown railroad to the West. The Galena and Chicago Union railroad was built to link these two towns. Galena is on the Mississippi River. The first locomotive was named Pioneer and pulled its first train from Chicago to Oak Park in 1848. A year later, another railroad called Aurora Branch Railroad was built from Aurora Illinois to Turner Junction (West Chicago) Illinois. This railroad would eventually become the Chicago Burlington and Quincy and then the mighty Burlington Northern Santa Fe Railway. Chicago looked very different in the 1800s and early 1900s as it does today. The waterfront in Chicago River's banks were lined with mills, warehouses and slaughterhouses. The first slaughterhouse in Chicago was served by the Chicago Burlington and Quincy Railroad in 1870s. This was after the Burlington's 1864 expansion into Chicago on its own line, from Aurora through Naperville Downers Grove La Grange and Cicero were built its Chicago-based railyard. Chicago Burlington and Quincy bought by the Hill roads the Great Northern and Northern Pacific, this allowed James J Hill a friendly connection to eastern markets. Railroads need merchandise to move and in the 1800s crops and agriculture were the biggest commodities. The eastern seaboard New York Boston Washington DC where the biggest consumers, and canals and Lake boats were becoming fast obsolete. Railroads such as the Baltimore and Ohio, New York Central and subsidiaries, Pennsylvania Railroad, as well as other not as well known lines such as the Wabash and Erie. To the south the Illinois Central, and Monan railroads helped feed southern markets. 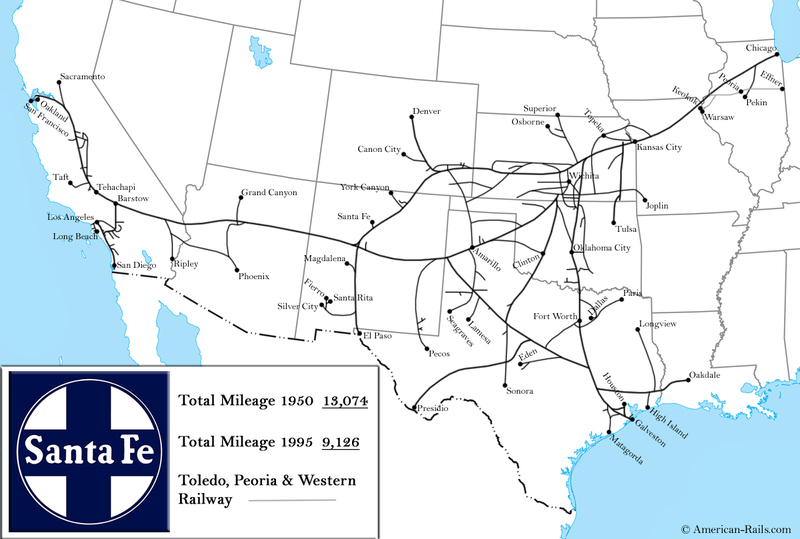 Through agreements and mergers railroads such as the Union Pacific, Southern Pacific, Southern Railway, and Louisville and Nashville railroads, all reached Chicago. 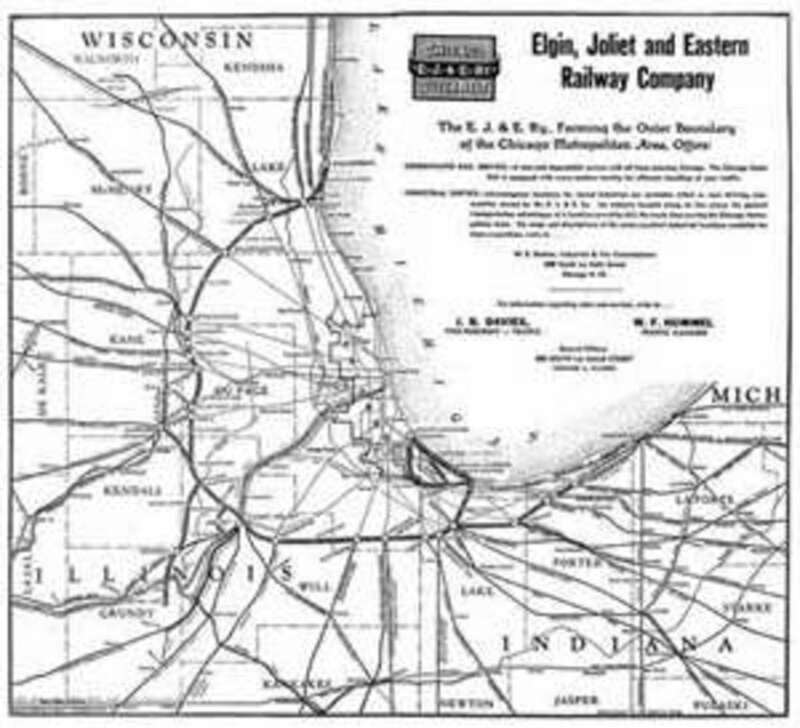 Here are a few of the lesser-known railroads that serve Chicago, the Baltimore and Ohio Chicago Terminal, Missouri Pacific, Chicago and Western Indiana, Chicago and Eastern Illinois, Indiana Harbor Belt, and Elgin Joliet and Eastern. All of these except the Missouri Pacific were local railroads built to serve Chicagoland area, Missouri Pacific reached from the suburbs of Chicago all the way to Colorado. Chicago and Western Indiana Railroad was owned by a number of the larger railroads in the area, they own trackage and Grand Central Terminal. For example the Wabash Railroad and Monon did not have their own facilities and used Chicago and Western Indiana to take care of their trains while in town. Interestingly enough, every railroad listed here, is no longer. Many of them are combined in mergers, takeovers and/or bankruptcies. The CSX Corporation and Norfolk Southern were created out of the railroads going east. The Illinois Central was bought by the Canadian National,(along with Wisconsin Central, Duluth Winnipeg and Pacific, Grand Trunk). The original railroad of Chicago Chicago and Galena Union merged with the Fond du Lac Railroad to create Chicago & Northwestern Railway. They in turn were merged into the Union Pacific in 1995. The Chicago Burlington & Quincy was merged with it's parents the Great Northern and Northern Pacific (along with their other child the Spokane Portland and Seattle) to create the Burlington Northern in 1970. In its 25th year it merged with the Santa Fe, to create the Burlington Northern Santa Fe Railroad. Union Station: Pennsylvania Railroad, Gulf Mobile & Ohio, and Milwaukee Road, with theChicago Burlington & Quincy, as a tenant. Built in 1925 to replace one that burnt to the ground. Pennsylvania RR, Gulf Mobile & Ohio, and Chicago Burlington & Quincy, all depart from the south concourse, and the Milwaukee Road is the only Railroad using the north concourse. Madison St Station: Also known as the Northwestern Station serves only the Chicago and Northwestern. Central Station: Is the terminal for Illinois Central's intercity passenger trains to St. Louis, Iowa, Florida, and New Orleans. Other roads using the station were Cleveland, Cincinnati, Chicago & St. Louis ("Big Four Route") to Indianapolis and Cincinnati, and Michigan Central to Detroit; both offered connecting service to New York via their parent company, New York Central. LaSalle Street Station: Was primary terminal for the Chicago, Rock Island & Pacific's commuter lines and intercity trains to Peoria, Kansas City, Iowa, Denver, and connections to Los Angeles. 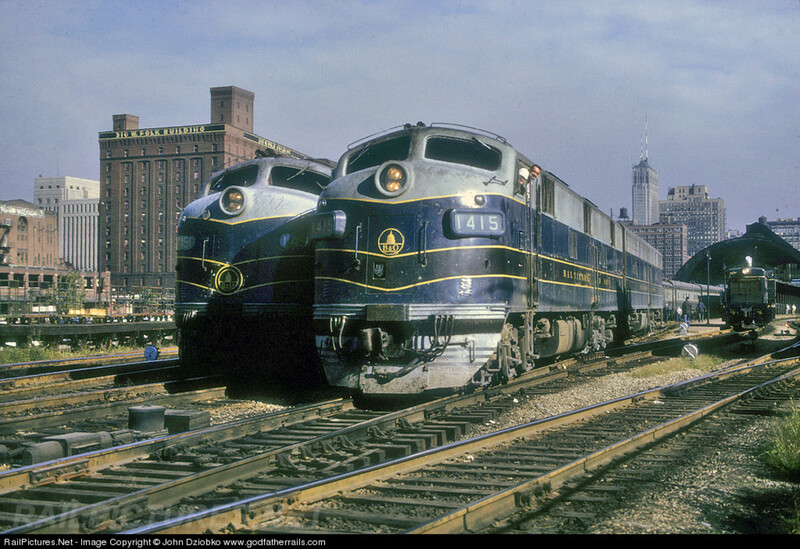 Other tenants were the New York Central, with trains to Cleveland, Detroit, Buffalo, Boston, and New York, Nickel Plate (formally, the New York, Chicago & St. Louis), with service to Buffalo and through trains to other East Coast destinations via the Lackawanna. Dearborn Station: Opened in 1885, the station served more railroads than any other in Chicago. The largest tenant was Santa Fe, with elegant trains to the Southwest and California. Other tenants included Wabash (to Decatur and St. Louis, plus commuter service to Orland Park), Erie (New York City), Grand Trunk Western (Toronto and Montreal), Chicago & Eastern Illinois (St. Louis and Evansville, with through service to Nashville, New Orleans, Atlanta, and Miami), Monon (Indianapolis and Louisville), and Chesapeake & Ohio (Washington). Grand Central Station: The station served the Baltimore & Ohio (with trains to New York, Baltimore, and Washington, D.C.), Pere Marquette (Grand Rapids), Chicago Great Western(Minneapolis and Iowa), and Minneapolis, St. Paul & Sault Ste. Marie ("Soo Line")(Minneapolis). After merger with the B&O and the Pere Marquette, Chesapeake & Ohio also began service through Grand Central. When Amtrak was formed in 1971 all the stations had either already been closed or did close and all Amtrak trains moved to Union Station. At the same time, Amtrak inherited all of Pennsylvania's Chicago facilities at Roosevelt road just south of Union Station. Railroads built west from Chicago starting in the 1850s. Building west from Chicago there were four major railroads Chicago Burlington and Quincy, Chicago and Northwestern, Chicago Milwaukee St. Paul and Pacific (Milwaukee Road), and Chicago Rock Island and Pacific. The Chicago Burlington and Quincy started from Aurora Illinois and built west taken over smaller lines along the way in 1864 15 years after it started the CB&Q reached Chicago on its own line. Chicago Burlington and Quincy's line split in Aurora Illinois with one line going to Minneapolis-St. Paul Minnesota and connecting with the great northern in northern Pacific railroads, and a more direct route West to Denver Colorado, Another line was built southwest towards Kansas City Missouri, along with one final line there was more north-south connector in Beardstown Illinois and Savanna. This line connected Minneapolis-St. Paul with the coal fields of southern Illinois. Chicago Burlington and Quincy is 52 years old when it was bought by the Great Northern and Northern Pacific. This gave these two railroads a friendly connection to Chicago and connections to Eastern markets. But what it also gave was a connection the Galveston Texas, through woolley owned subsidiaries of the CB&Q, Colorado and Southern in the Fort Worth and Denver City, name later changed the Fort Worth and Denver railway. These railroads merged in 1970 fulfilling James Jerome Hill's dream of one railroad from the Midwest to the Pacific, creating the Burlington Northern. One noteworthy thing about Chicago Burlington and Quincy, was it pioneered the push-pull with a cab for the engineer to sit in the lead car. They were the second railroad to use bilevel commuter cars also known as gallery cars. A few of these cars are still in operation today on Metra's BNSF line, making them what I believe is the oldest gallery cars in operation in this country, 62 years old. Chicago and Northwestern built west, northwest and north from Chicago. The west line went to Clinton Iowa and Omaha Nebraska. A connected with the Union Pacific and he made a friendly agreement that the Chicago Northwestern forward Union Pacific trains to Chicago. The line going Northwest is merely a straight shot to Minneapolis-St. Paul. The North line heads to Milwaukee and Green Bay Wisconsin. As its name implies serves northern states Illinois Wisconsin Minnesota South Dakota and Iowa.The Union Pacific merged Chicago Northwestern into its system in 1995, ending the reign of the first railroad in Chicago. Some noteworthy things about Chicago and Northwestern; it is known for left-hand running like British Railways. It is also known for the first bilevel commuter train cars built by Pullman standard. Chicago and Milwaukee, started out such as that of railroad connecting those two cities. As it grew so did its name next reaching St. Paul. This route is known for Hiawatha; morning Hiawatha, evening Hiawatha. And after 1909 when we Chicago Milwaukee St. Paul and Pacific built to Tacoma Washington the Olympian Hiawatha. Building west this late in the game, left the Milwaukee Road as it became known as severe disadvantage. The Great Northern, and the Northern Pacific had been in Northwest since as early as 1888, and they created an agreement that would not allow interchange with the Milwaukee Road. This plague the Milwaukee to its dying day. Chicago Rock Island and Pacific built west of Chicago to Rock Island Illinois. Its intent was to reach the Pacific but only got as far as Tucumcari New Mexico were made from the connection with the Southern Pacific. The first cab car in operation. CBQ 790-795 were the first cab cars in operation. A picture of the very first bi-level built by St Louis Car Company. There are many different steam locomotive types, these are classified mainly by the wheel arrangements. ranging from the 0-4-0 all the way to the 4-10-2, and the 4-8-8-4. Hwew is what I am talking about a 4-8-4 has 4 pilot wheels, 8 drivers, and 4 wheels under the firebox. So a 4-4-0 has 4 pilot wheels 4 drivers, but no wheels under the firebox. The first such arrangement was the 4–4–0, classified as the American locomotive as it was created for and by America. Classic examples of this type are The General, the Texas which were both involved in the Great Locomotive Chase the other classic examples are the Jupiter and number 119 of the Union Pacific and Central Pacific railroads that met the Promontory Utah on May 10, 1869 creating Transcontinental Railroad. As tonnage got heavier and more needed to be hauled, heavier freight cars were needed and thus built the need for heavier steam engines. It was about this time, that they started to be customized for different duties, such as hauling fast passenger trains, or heavy slow freight trains. Each railroad had the option to customize the order as they saw fit, they could choose a light or heavy version of some locomotives. The light versions were designed for passenger service, and operating over branch lines that didn't have heavier rail. The railroads started creating their own wheel arrangements for their own purposes. One such example was the Northern (4-8-4) type was designed by the Northern Pacific in the early 1920s for fast passenger service and priority freights. Another example of steam locomotives built for a specific purpose was the Big Boy (4-8-8-4) for the Union Pacific to carry trains over Sherman Hill in Wyoming. The war between the states proved that railroads could provide an essential service in the time of need. The north had over 20,000 route miles while the South had less than 10,000. They provided vital supply lines carrying troops and supplies. The Railroads around Washington DC. the capital of the north, Baltimore, and Atlanta, the largest city in the south were the hardest hit. The Baltimore and Ohio was hardest hit as it was the railroad providing most of the northern supply chain. Both the north and south wanted to disrupt the flow of supplies, and what better way to do so than to destroy the railroads. Both sides were masters at slowing traffic down, burning bridges, removing rails, blowing up tunnels. Read more about the railroads during the civil war here. After the 1849 Gold Rush, and with San Francisco the largest city west of the Mississippi River, most railroads starting in the Midwest, wanted a piece of the action. The first being the Union Pacific and Central Pacific building the Transcontinental Railroad, linking Gold rich California, with the rest of the country. 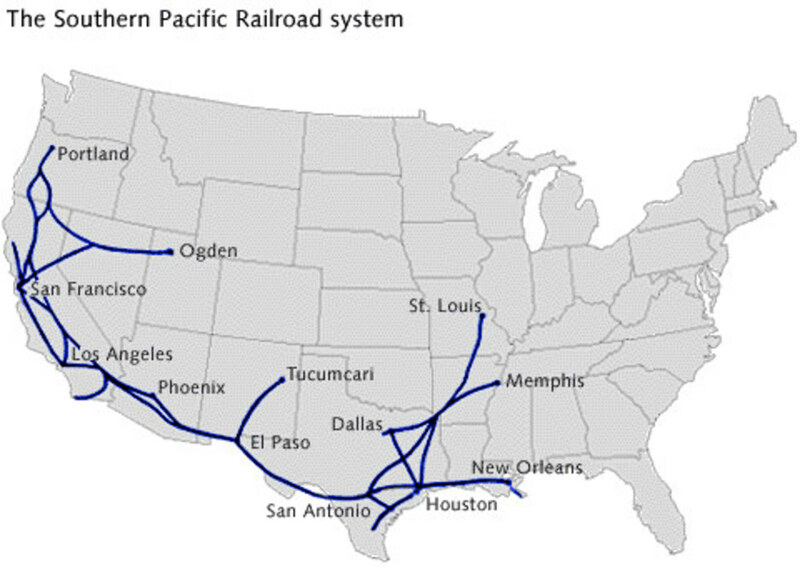 The railroad that everyone thinks of when talking about California is the Southern Pacific Railroad. In 1868 the Southern Pacific was chartered to build south from San Francisco to LA and the east to El Paso Texas. The "Big Four" of the Central Pacific; Leland Stanford, Collis P. Huntington, Mark Hopkins, and Charles Crocker were four businessmen that came up with the idea of starting a railroad and building east. At the same time, the Union Pacific was building west and these two railroads were to become part of history by linking and becoming the Transcontinental Railroad. But back to the Southern Pacific, the big four bought the SP and continued building east, and didn't stop until it reached New Orleans. Looking north the Southern Pacific built over the Siskiyous' to Portland Oregon. They connected with the Union Pacific (Salt Lake City), Northern Pacific (Seattle), Great Northern (Seattle and Spokane), Spokane Portland and Seattle (Spokane). The passenger trains, The Lark, the overnight from Los Angeles, the Shasta Daylight, and the Cascade all called on Portland, and connections via "pool trains" to Seattle. The Southern Pacific also had a route over the sierras in northern California over Donners Pass. This pass was made famous due to the unfortunate events that took place in the winter of 1846-1847. The Donners Party was traveling west when they were caught in the pass, during one of the worst winters ever recorded. After most of their animals were eaten, the donner party was forced to resort to cannibalism. In all 41 of the original 87 party members were lost. The SP (and now UP) Still have to fight the winter snows every year, and every so often there is a train snowbound on the pass. Amtrak's California Zephyr uses this line every day, and has had its own trials and tribulations over the years. The Union Pacific has rebuilt two 1920s plows for service on Donners to keep the line clear. The Santa Fe Railroad was formed in 1860 to connect Atchison and Topeka Kansas with Santa Fe New Mexico. Starting in the middle of the country meant the Santa Fe had choices, build east to St. Louis or Chicago, or west to California. By 1887, it had reached Los Angeles, on the other end of the country, the Santa Fe rolled into Chicago in 1888 and stayed until 1995 when it merged with the Burlington Northern. The Santa Fe reached Los Angeles and then headed north to San Francisco. This was deep into Central Pacific territory. They did not allow Central Pacific to be a monopoly and working with the Southern Pacific reaching San Francisco over Tehachapi Pass. It also built South San Diego California on the California Mexican border. The last major railroad to reach California was a Great Northern. Building from the North Oregon Trunk a subsidiary, went as far as Klamath, the great northern continued to Bieber.reaching this location in 1931 Louis Hill the son of the Empire Builder himself was on hand to drive the spike that linked the Great Northern with the Western Pacific creating what is now known as the Inside Gateway. The Oregon Territory was explored and documented by Lewis and Clark expeditions of 1805. The trail followed the Missouri River to the Montana Rockies, northern Idaho, and southern Washington to Astoria Oregon. The Northern Pacific built West from Minneapolis Minnesota through Mandan, the site of Fort Mandan, that Lewis and Clark stopped at along their expedition. From then on the Northern Pacific followed very close the route that the explorers took. Chartered by Congress in 1964, the Northern Pacific was to build from Lake Superior to the Puget Sound. Starting in Duluth Minnesota the ports the railroad built West Minneapolis-St. Paul. The city would become their headquarters as well as connections with Chicago Burlington and Quincy, Great Northern, Chicago and Northwestern, Chicago Great Western, Milwaukee Road and other roads. From there struck out on its own across the vast Minnesota Timberland, North Dakota plains, and into Montana at Glendive. Swinging south northern Pacific follows the Missouri River in the Yellowstone River across Montana going through Billings and Butte. At a town called Bozeman northern Pacific splits in northern route goes through the state capital Helena and a southern route goes through Butte, and meet up again a little further west, then the line heads northwest to Spokane Washington from there its heads Southwest again to Pasco and over the Cascades at Stampede Pass. The reason for this name was because there was a stampede of work animals during the building of the line. The northern Pacific finally reaches the Pacific at Tacoma Washington, where built the branch to reach Seattle. It also built the line between Seattle and Vancouver Washington. As this was a government subsidized railroad project the Northern Pacific was given alternate parcels of land in a checkerboard pattern all across the system. There's a lot of wilderness in Minnesota North Dakota and Eastern Montana, the railroad had to find people that would be willing the farmland and produce a commodity the railroad could haul to market.northern Pacific as well as other railroads that were building West time did extensive marketing in Western Europe and Scandinavian countries. They targeted those areas that the climate closely fits the area that they were trying to populate. That meant that the Scandinavian countries, Germany, Great Britain, and Denmark were all very heavily covered with agents marketing the great northern states. This is why today a lot of North Dakota and Minnesota have towns named New Ulm, and Bismarck. They gave the land to these new settlers and showed them how to farm with new techniques. As new farm machinery came out, the railroad would provide a training train they would travel the line stopping at every town so that the farmers will learn the new techniques, commonly known as agricultural specials they were operated from the mid-1860s to the 1880s. Unfortunately there is not much documentation on these trains and photographs are even more rare. North Coast Limited started operating in 1900 as a summer only special, but by 1902 it was so popular it became a year-round train between Minneapolis and Seattle. Starting in early teens North Coast Limited became a Seattle to Chicago (via the Chicago Burlington and Quincy) year-round daily train. North Coast Limited was reserved sleeping car only train. It became so popular however that in any coaches and early teen years. The Milwaukee Road was the last transcontinental to reach Puget Sound in 1909, this was deemed The Pacific Extension and from the beginning was not utilized to its fullest extent. 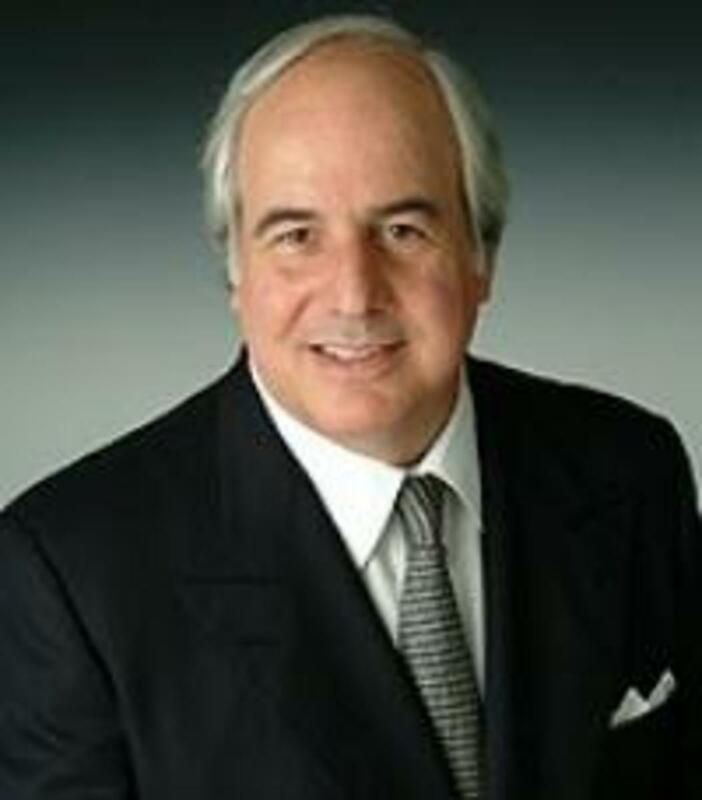 This was partially due to the fact that the Northern Pacific and Great Northern have made agreements to not interchange with Milwaukee road at certain points along its line. The Milwaukee Road starting in Minneapolis and built West following closely the same route as northern Pacific especially in Montana and Washington. Milwaukee road was famous for having two sections of electrification and Montana, Idaho, and Washington. The Milwaukee Road’s electrifica­tion crosses five mountain ranges covering 656 miles: 440 miles between Harlowton, Mont., and Avery, Idaho, and 216 miles between Othello, Wash.and Seattle and Tacoma. 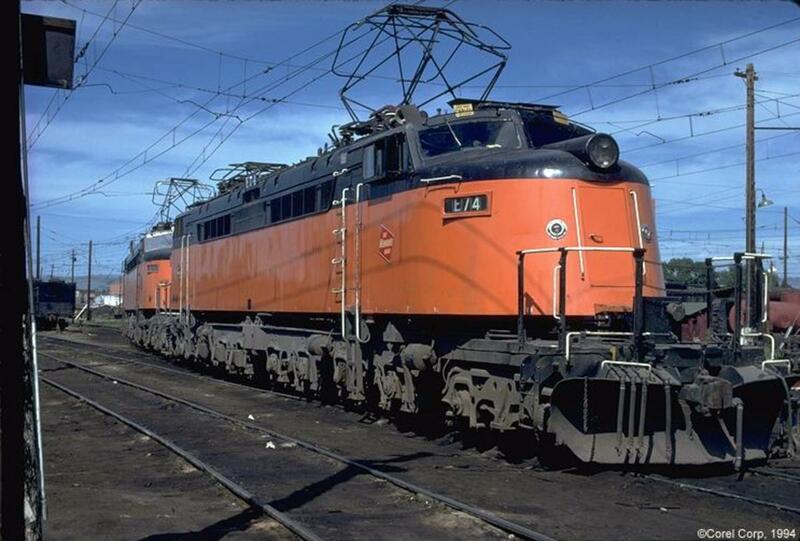 The main fleet of the Milwaukee Road’s electric power are the “Little Joes,” the EF-4 locomotives. These Alco-GEs, dubbed “Little Joes” after Josef Stalin as they were originally built for use in the Soviet Union, and were acquired in 1950.Five went to Brazil in the other two wanted Chicago South Shore and South Bend Railroad. The Olympian started operation nearly teams between Chicago – Tacoma, and later to Seattle. Being the last railroad in the Pacific Northwest, Milwaukee road had the fight for everything freight and passenger traffic.The Olympian and later the Olympian Hiawatha provided daily service over route that was not very populated, this in a way was a good thing because they were the one of the only ways to move across the area mainly in its first the populated South Dakota and Montana. 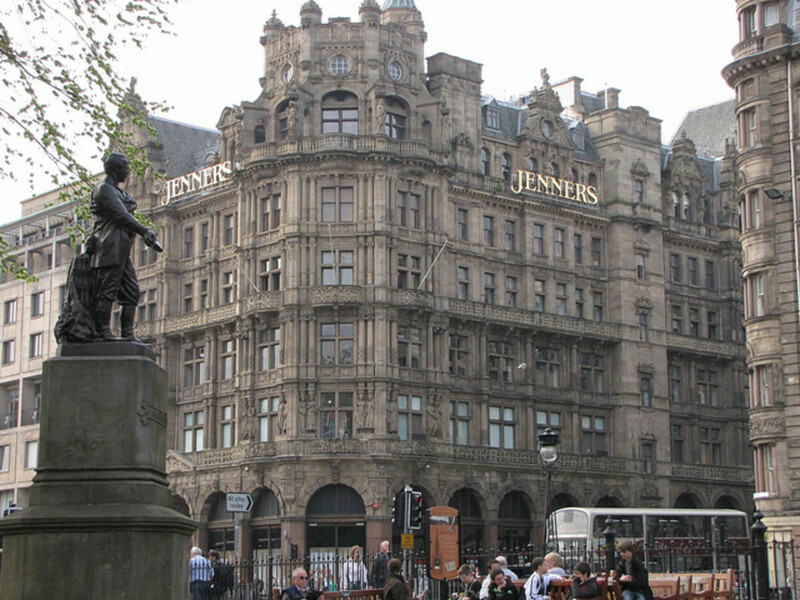 The Great Northern Railway's roots started in 1878 when the St. Paul and Pacific was bought by James J Hill. This railroad was purchased in 1879 by St. Paul Minneapolis and Manitoba railway which been formed by Hill. The St. Paul and Pacific had done its job, quietly into history. But the St. Paul Minneapolis and Manitoba was to become destined for greatness. James J Hill took it by the horns and headed west reaching Great Falls Montana in 1887. This was a mining area so many thought of the Great Northern would stop there. Five miles outside of Havre Montana, there is a place called Pacific Junction this is where the line from Great Falls next with what is now known as the Hi–line. It is at this point the Great Northern continues to head West, through the northern part of the state to the Rockies. John Stevens was a surveyor for the Great Northern and his task was to find a pass for which the railroad could go over the Rockies. he was given instructions by a Blackfoot Chief on how to find it, the Blackfeet Indians used this pass occasionally so they told Stevens how to find it. This past came to be known as Marias Pass. On the western slope of Marias pass the line continued into the valley and in the what now is Sandpoint Idaho.from here is fairly easy into Spokane Washington. This was where the Great Northern subsidiary the Spokane Portland and Seattle would be built in 1905 to link Spokane with Portland. The line then goes into Wenatchee, from this point to Skykomish the Great Northern had the fight the cascade Mountains. Again, Native Americans helped by pointing way along the Nason Creek flowed in the mountains. They told Stevens that they hadn't been up there often. 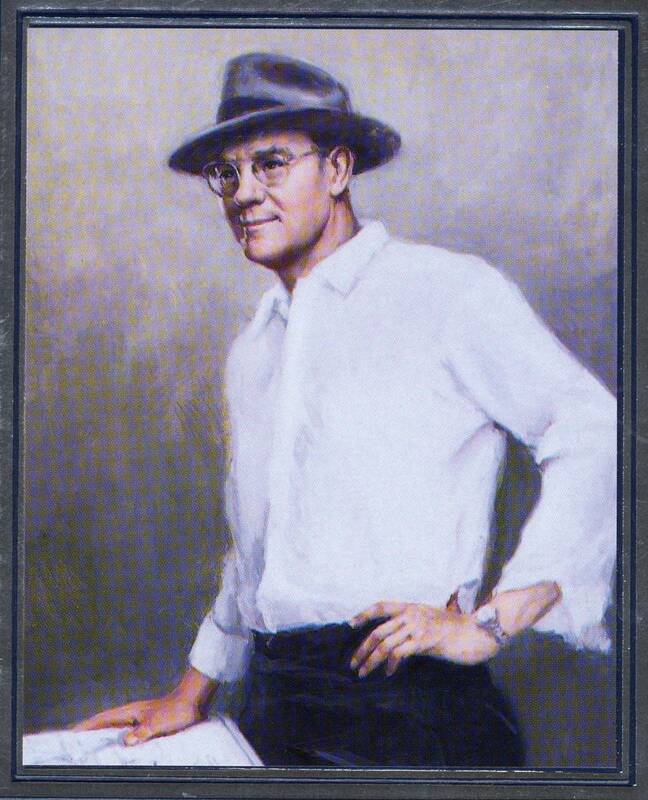 John Stevens would be the first white man to cross this pass. On the other side he followed the Skykomish River down to the Puget Sound. Stevens found the lowest mountain crossing maintaining nine states at 4000 feet. Because of his work with the Great Northern, over the past 15 years the pass he found in the Cascade , Mountains in Washington.was named after him Stevens Pass. When the railroad first build across Stevens Pass as well as Marias Pass they used switchbacks to gain elevation. In the early 1900s both passes the tunnels installed for a couple of reasons first, to eliminate the switchbacks which were time-consuming, train limiting, and to be honest opinion the back side during winter. The weather is so bad in the Cascades that avalanches happen every year in the Great Northern built snow sheds along its line on either side of the first cascade tunnel. Th Great Northern's worst disaster happened in February of 1910. It had been one of the worst winters on record with record snowfall in the Cascades.For 10 days in late February it was pretty much endless snow, which meant there is a threat of avalanches all up and down the line. Trains are being held in Everett and Wenatchee Washington and let through depending on if the snowplows could clear the line enough. There is one eastbound and two westbounds that were allowed to follow snowplows up the mountain to the town on the west side of the cascade tunnel named Wellington. At that point they were stuck, both sides of the past had been closed in by snowstorm again and there's no way they could go either way. The threat of avalanches were very real. The cruise thought about pushing one of the trains back into the tunnel, which would save them from avalanche but then they may die from asphyxiation. Since there had never been an avalanche the exact spot that the trains were sitting in the yard, the decision was made to leave them in place. Unfortunately, there always has to be first time and that time was 11:30 that night when avalanche came down and swept the passenger and mail trains into the gully below. The disaster was so great that passenger traffic declined over the route, as people were scared that it may happen again. The railroad eventually changed the name from Wellington to Tye, the name of the river that flows through the area. If you were to go through the area today you'd be able to see the path of the avalanche itself, and walk the original mainline on the Iron Goat Trail. In 1929 the current tunnel at 7.8 miles long was completed allowing Great Northern to pass over or through the cascade Mountains in relative safety. Today Stevens Pass ski resort is within snowballs throw of the original mainline and is affected by heavy snows just like in. in 1910. From Everett the GN built into Seattle and also had subsidiaries build north. The Seattle and Montana built north to Burlington Washington., meeting the independently built Fairhaven and Southern, that built south from Fairhaven Washington to move coal to the port. The F&S also built north to the Canadian Border to meet the New Westminster & Southern. James Hill took full control of all these lines shortly after the F&S reached the border to create a link to the Canadian Railroads in Vancouver B.C. 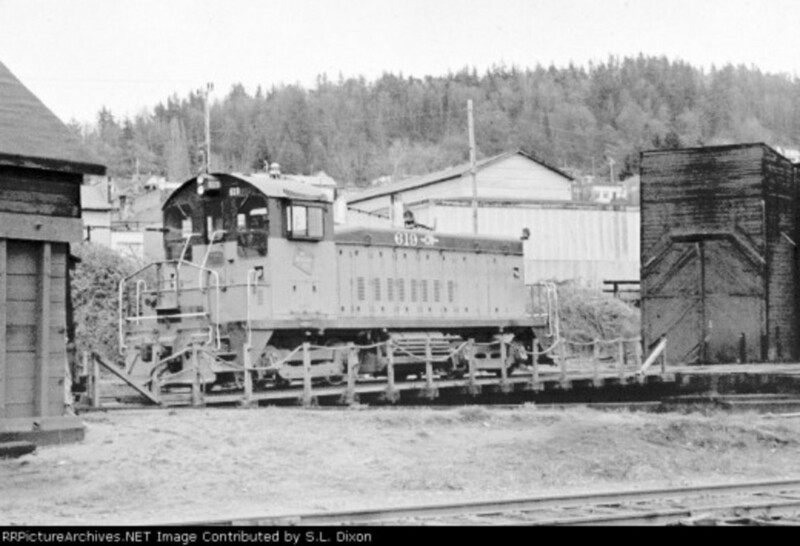 You may read more about this link in my hub Railroads in Whatcom County Washington. The GN made an agreement with the Northern Pacific to gain trackage rights to Portland. This resulted in pooled passenger service between the NP, GN, and UP that also had trackage rights over the NP to Seattle. Each road operated one round trip a day, with a 4th train operating overnight. This overnight operation was split between each railroad on a 4 month rotation, this way no one railroad had responsibility of an extra train all the time. 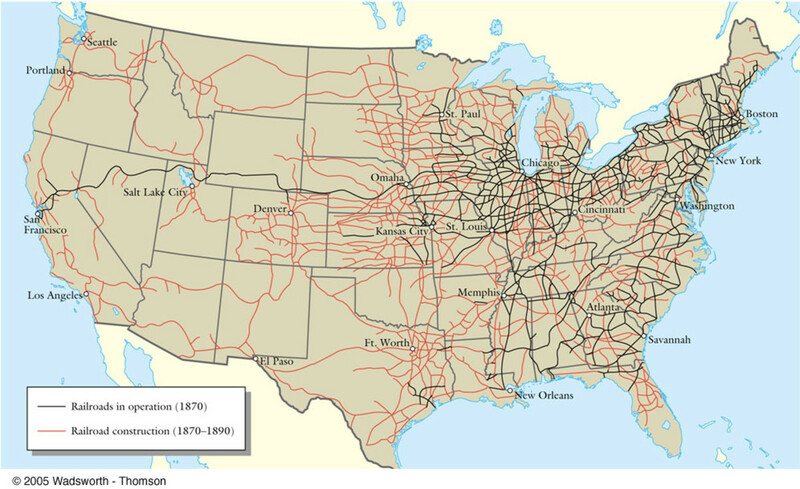 There were thousands of railroads that have been built and merged over the last 186 years. I will attempt to list as many of the railroads as possible. If I miss any please let me know. Union Pacific-Merged MP, C&EI, WP, (SP(StLSW)(NWP)((D&RGW)(D&SL)), (CNW(CMStP&O)(CGW)(M&StL)(RI*), SN,SI,MKT,(T&P(Midland Valley Railroad; Kansas, Oklahoma & Gulf )) into its system. *The Rock Island went bankrupt and the trustees sold off bits and pieces to various railroads, the UP, CNW among others. Norfolk Southern-Conrail (48%)(the other 52% went to CSX), Norfolk & Western,Illinois Terminal Railroad, Verginian Railway, Wabash,Pittsburgh & West Virginia Railway,Akron, Canton & Youngstown Railway,New York, Chicago & St. Louis Railroad(known as the Nickle Plate),Wheeling & Lake Erie Railway, Southern Railway,Central of Georgia Railway,Savannah & Atlanta Railway,Georgia & Florida Railroad, (original)Norfolk Southern Railroad. CSX- Conrail Corp (52%)(the other 48 went to Norfolk Southern), Richmond, Fredricksburg and Patomac, Pittsburgh and Lake Erie, Chessie System (B&O, C&O, Western Maryland) Seaboard System Railroad, Clinchfield, Pere Marquette, Georgia Railroad,Atlanta & West Point Railroad/Western Railway of Alabama,Louisville and Nashville, Chicago and Eastern Illinois, Monon,Nashville, Chattanooga & St. Louis Railway, Charleston & Western Carolina Railroad. These are the Big four still operating in the United States. I did not include Canadian Nation and Canadian Pacific, as they only enter the US through subsidiaries. If you would like more information and a full list of all family trees in North America as of 2006 visit Trains Magazine. With railroads cris crossing the country, they were the best way to move the mail fast and easy. The Postal Service created the Railway Post Office car for sorting mail in route. The car was set up as a mini post office on rails. There was a slot in the side of the car for people to send letters. They would post mark the mail with a RPO cancellation mark that is still very sought after by collectors today. 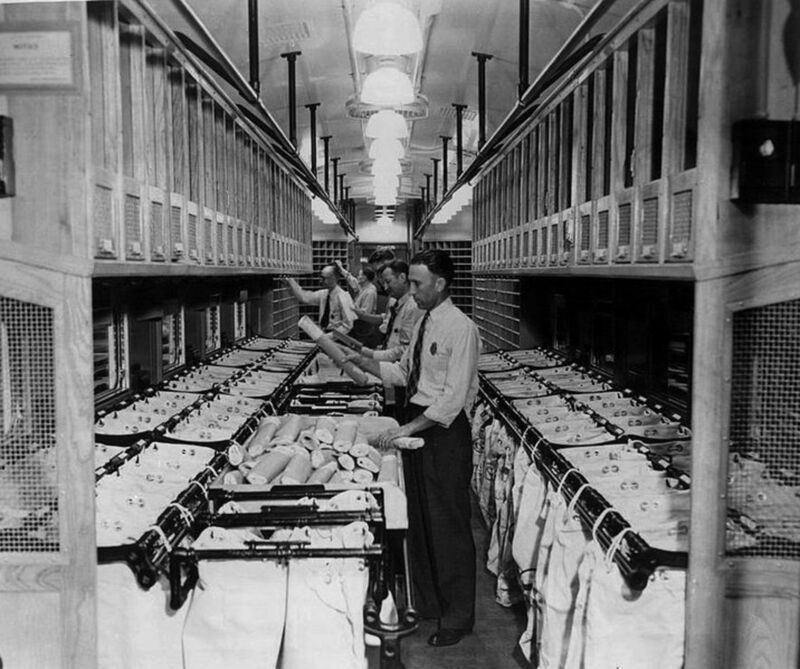 Post office employees were the only men allowed aboard the cars and worked faster than their counterparts in the post office. Why you might ask? Because of once simple reason, the first drop off was the next town, and they only have a couple of minutes to sort the incoming sack, tie up the out going sack and toss it on the platform as the train flies by. The RPO was either the first or second car of the train. Only Postal employees were allowed in the cars during a run, so they were isolated from the rest of the passengers and crew. The RPO was never on the premier trains but on secondary trains so they don't ruin the look. The Post office designated certain routes postal routes. The Post office decided which route by what each railroad could offer, speed, times of handling the train, and guaranteed connections or times into the end city. One example was the Fast Mail between Chicago and Council Bluffs Iowa, where some of the cars would be transferred to UP trains others stayed to be unloaded. CB&Q Train 29 was a first class train, leaving precisely at 9pm from the mail tracks on the west side of Union Station in 1884 with a 4-4-0 American type locomotive and three baggage cars filed with mail for Council Bluffs. The run was so successful that the CB&Q became the Post office's choice for the next 82 years when they ended all mail contracts on the railroads, switching to planes and trucks. The railroads holding the contracts similar to the Burlington's train 29 had to keep the trains on strict schedules or risk losing the contract to competitors in the same market. Almost every railroad had a mail train somewhere on their system. Some of these were on a local, and others served the same routes of the Zephyrs, the Chiefs and the Limiteds. Great Northern and Northern Pacific's secondary trains, the Western Star and the Mainstreeter were the mail trains that handled the major mail contracts along its routes and because of the sparse landscape both carried heavy amounts of mail. There were different ways a letter could go. If a letter was sent from Seattle to a small town in Montana it would be aboard the RPO of the Western Star or the Fast Mail on the GN the Mainstreeter of the NP. The other is in a locked storage mail car, these cars operated on the secondary or mail trains, they would be locked and sealed until they reached their next major destination. A letter going from Seattle to Wisconsin Dells would be in a mail storage car on the Great Northern to Minneapolis then transferred to the Milwaukee Road who would sort it in an RPO for Wisconsin Dells. This article does a great job in describing how the railroads got to where they are today. Gordy, in that day and age, there was a couple choices, between Baltimore and Chicago but the most direct was the Baltimore and Ohio. The Capitol Limited was all Pullman, and the only train from Baltimore. They could have taken the PRR but unlikely the schedules were on a 19 hour schedule to Chicago, layover then either the CNW, or Milwaukee Road to Minneapolis, there is a chance they took the Burlington Route however not sure on that one. Now in 1909 there were at least 2-3 trains on each of the aforementioned railroads, so there were a few choices. Now depending on which train they took, it could have taken two days 1 night or 3 days 2 nights, depend on the trains. One question I have is if they were wealthy they would have chosen the Capitol limited, and one of the primer trains out of Chicago, if not there are many choices available. As for the power, it would have probably been 2-6-4 types on the B&O and similar on the western roads. My grandparents came over from Europe in 1909. They arrived in Baltimore, Maryland and traveled by rail to Minneapolis, Minnesota. Do you know which trains, route, layovers or length of travel? Possible the type of engine that would have been used? That is the most direct route and only having to purchase tickets over two railroads. The aforementioned route is the middle route and by mileage is most direct, however that route has so many possibilities as well as secondary trains that it doesn't seem like a plausible route. Speeds were not great so it took at least 4 days on the Burlington-B&O Route not including layovers but after looking at the possibilities that route seems the most plausible. Is there any way to get a hold of any of his belongings that may indicate a route? Could he have had family or friends that you know of along one of the routes? Thank you for the referral to the Official Railway Guide. In the fall of 1919 a friend ( now deceased) left Ft. Worth bound for college in the Washington D.C.area. I'm attempting to determine the most direct route - I'm more familiar with the western trail routes than those going east. I was considering a route from Fort Worth to Houston and then connect with the Southern Railway Washington-Sunset Route and then a straight shot thru Atlanta and up from there..... What do you think? 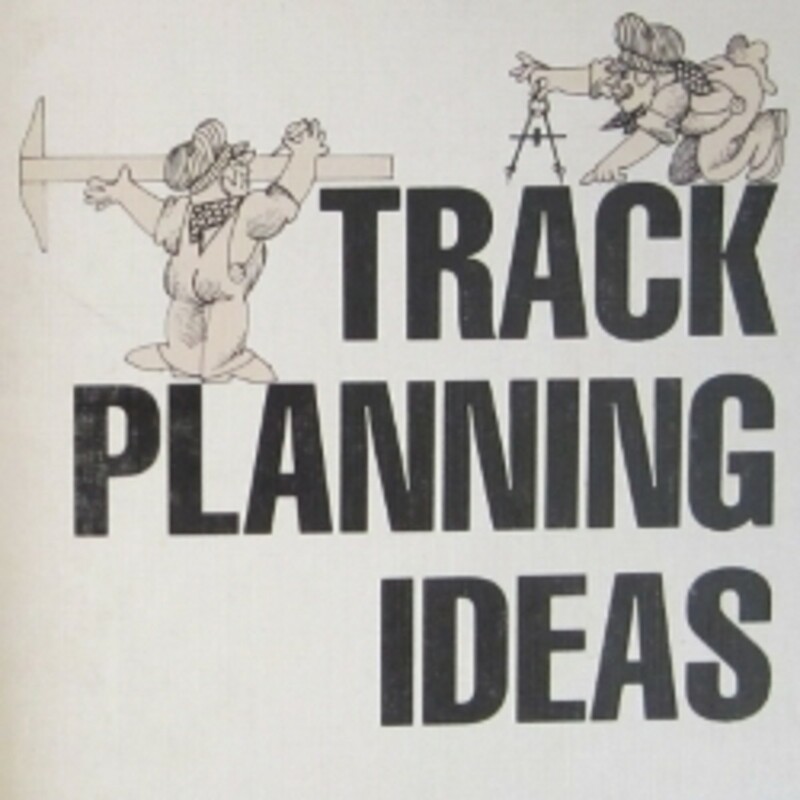 Mkelly, the Official Railway Guide that was put out in most years of the 20th Century would help. This gives every railroad, every station mileage and passenger time tables. Without looking at the guide off hand I can guess that it would take roughly 4 days and depending on the route. Is there a particular Route? Santa Fe and the B&O would be the most Direct, connecting in Chicago. MKT and Frisco got into St Louis and then either the NYC or a combination of railroads east of there. As far as layovers are concerned by this point there were sleepers on trains, but if you mean Transfers, the above mentioned cities are the two definite. Can anyone reconstruct the details of a railway journey in 1920 from Ft. Worth TX to Washington D.C.? Which lines would be involved? How long would the trip take? Could it be done without layovers? I really love this hub about the history of trains. They really fascinate me. I love taking pictures of them and writing little stories. My goal this fall is to take another trip down to California. Thanks for a great hub! I agree, but as I have done a little research, I realize that with out country being so wide (3000 miles or so) that even high speed trains couldn't make the east-west trip cost effective. With average speeds of 50 miles per hour, it takes 2 1/2 days from Chicago to San Francisco (California Zephyr) about 2438 route miles. If you were to figure high speed, there would have to be a lot of rebuilding of rail line (to go through long tunnels) such. It might cut off a day or so, but that may be about it. Amtrak is thinking high speed but in corridors. The Northeast Corridor is already high speed and there are portions of 110 mph running in the chicago corridor, with more planned, and the northwest corridor between Vancouver BC and Eugene Ore. (though Seattlew and Portland, the California Corridor between San Diego, LA and San Francisco. There is one in Florida being worked out, and possibly (don't quote oNe on this next one) but they are looking at high speed in the Dallas/Ft Worth-Houston market as well. In europe that is essentially what they have (corridors) as the countries are small by comparison. Thank you for stopping by and great question/comment. When I have more time, I want to read through the whole thing, but our history with railroads is fascinating. It touches almost every area of life. I'm saddened that we don't have more high-speed rail in the country after visiting countries which do. I think we'd be better off today had they kept the old freight trains rolling. All the trucks sucking up expensive fuel has not only led to higher prices, but more pollution.